Hi! I am a sixth (!) year Ph.D. student in CS @ CMU. My research area is Networking and Distributed Systems. My advisor is Prof. Srinivasan Seshan. My thesis research focuses on network and system support for online multi-player games. Before coming here, I spent four memorable years at the beautiful Indian Institute of Technology (IIT), Bombay doing my undergrad [B.Tech.] in Computer Science. 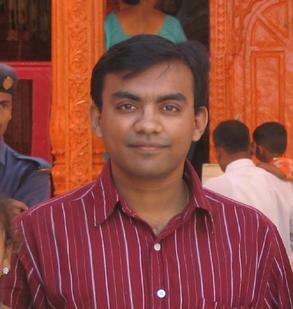 I was born in Wardha, and grew up and went to school in Amravati, Maharashtra, India. I am currently on a leave of absence working on my company, called Buxfer. Our goal is to be the best personal finance management application on the web.